Rest: Why You Get More Done When You Work Less by Alex Soojung-Kim Pang. An intriguing book describing how many notable leaders, scientists, inventors and scholars enhanced their career achievements through strategic and purposeful activities to promote rest. The Talent Code: Greatness Isn’t Born. It’s Grown. Here’s How by Daniel Coyle. Is being a superstar all about raw talent? How does deep practice, motivation and master coaching come into play? Daniel Coyle helps unravel this relationship, and explains how to increase your skill level. The Slight Edge: Secret to a Successful Life by Jeff Olson. Can small, seemingly meaningless, choices add up? Jeff Olson would answer that question with a resounding “Yes!” He explains the power of good choices, and the dangers in the smallest lapse in commitment, in this guide to creating long term success. Drive: The Surprising Truth About What Motivates Us by Daniel Pink. What motivates people? In this groundbreaking book, Daniel Pink explains how businesses are making the shift toward instilling intrinsic motivators for their workforce, rather than the external “carrots and sticks approach” which tends to be ineffective. Live Your Life From the Front Seat: Accomplish Magnificent Things in Your Life, Relationships and Career by Jessica Butts. In this book, business coach, psychotherapist and Myers Briggs expert Jessica Butts takes a fresh and completely relatable look at Myers Briggs personality types, and gives you ways you can actually use your type to definitively answer these questions: Who are you? Where are you going? How are you going to get there? Please Understand Me: Character & Temperament Type by David Keirsey and Marilyn Bates. This book, one of the classics in the field, describes the Myers Briggs personality types and provides insight regarding the strengths and weaknesses individuals possessing these types bring into their professional and personal lives. The Energy Bus: 10 Rules to Fuel Your Life, Work, and Team with Positive Energy by Jon Gordon. Gordon provides 10 rules to promote positive energy in your life and business, creatively analogizing a bus ride with life. My favorite? Rule 3#: Fuel Your Ride with Positive Energy. The Happiness of Pursuit by Chris Guillebeau. Have you always wondered about what motivates people on a “quest,” such as walking across America or going to every major league ballpark? Many business owners also have a “quest” element to their business, in terms of the motivations behind starting it and what they ultimately wish to achieve. Guillebeau explores the motivations and logistics of quests, giving entertaining real life examples. Get Present: Simple Strategies to Get Out of Your Head and Lead More Powerfully by Sarah Harvey Yao. Local Seattle author Sarah Harvey Yao explains how a strong sense of presence can enhance your abilities as a business leader, and gives great tips on how to increase your presence in your life and your business. 212° The Extra Degree by Sam Parker, Sam and Mac Anderson. A short read that describes how much can be achieved simply by putting forth one more degree of effort. The 7 Habits of Highly Effective People by Stephen R. Covey. A classic, in which Covey explores the 7 habits: (1) Be proactive; (2) Begin with the end in mind; (3) Put first things first: (4) Think win/win; (5) Seek first to understand, then to be understood; (6) Synergize; and (7) Sharpen the saw. America the Vulnerable by Joel Brenner. Although this book isn’t geared specifically toward business owners, I found it helpful in emphasizing the importance of keeping digital data secure and offering suggestions for how to do so. Brenner, a D.C. lawyer, stresses how businesses choose convenience over safe practices at their peril, providing numerous examples. The Brand Called You by Peter Montoya. Montoya defines personal branding and walks entrepreneurs through the steps of brand development. Contains insightful stories of how entrepreneurs achieved success by focusing on authenticity in their brands. Breakthrough Networking: Building Relationships that Last by Lillian D. Bjorseth. Bjorseth describes the four networking styles and offers up an interesting chapter on how gender differences impact networking. The Connectors by Maribeth Kuzmeski. This book emphasizes the need for business owners to build solid relationships with clients, staff, etc., and provides tools for how to cultivate and maintain good relationships. The EMyth Revisited by Michael E. Gerber. A well known business book. Gerber discusses the stages of business development, and how to work on your business – not just in it. Fierce Conversations by Susan Scott. Do you have a troublesome client? Scott, a Seattle area author, describes the seven principles of having effective conversations: (1) Master the courage to interrogate reality; (2) Come out from behind yourself into the conversation and make it real; (3) Be here, prepared to be no where else; (4) Tackle your toughest challenge today; (5) Obey your instincts; (6) Take responsibility for your emotional wake; and (7) Let silence do the heavy lifting. The Four Agreements by Don Miguel Ruiz. Enhance your life by applying these four principles: (1) Be Impeccable with Your Word; (2) Don’t Take Anything Personally; (3) Don’t Make Assumptions; and (4) Always Do Your Best. Getting Things Done by David Allen. As described by Allen, “Teaching you how to be maximally efficient and relaxed, whenever you need or want to be, was my main purpose in writing this book.” This book provides tools to teach you to organize your thoughts, thereby clearing your mind and enhancing productivity. Give your Elevator Speech a Lift! by Lorraine Howell. Lorraine, a Seattle author who is also my personal friend and client, shows us how to effectively explain to a potential client exactly what we do in 30 seconds or less. Lean In. Women, Work, and the Will to Lead by Sheryl Sandberg. I highly recommend Ms. Sandberg’s book for anyone, male or female. Her honest, humorous, and insightful book gives a clear assessment of the present condition of U.S. female professionals and provides useful suggestions for the next steps in enabling women to achieve their full potential. Mandela’s Way: Lessons on Life, Love, and Courage by Richard Stengel. An interesting and inspiring read, setting forth the principles of leadership used by Nelson Mandela. Organizing Your Home Office for Success by Lisa Kanarek.Consider purchasing this book if you are thinking about moving your law practice to your home, or need some help organizing your existing home office. Personal History. by Kathrine Graham. Katharine Graham was truly a pioneer women business owner, showing tremendous skill and leadership in her governance of the Washington Post. This book is an inspirational read for any business owner! The Secret of Sovereignty by Dede Henley. This book offers some good tips for women business owners, including how to avoid the following common traps: (1) Being one of the boys; (2) Martyrdom; (3) Having no voice and no choice; (4) Waiting for rescue; (5) Peace at any price; (6) Hurry, hurry, hurry! ; and (7) Self-protection. Strengths Based Leadership by Tom Rath and Barry Conchie. This book builds on StrengthsFinder 2.0, by providing you with a personalized assessment about how you can utilize your strengths to improve your leadership skills. StrengthsFinder 2.0 by Tom Rath. By purchasing this book, you can access the StrengthsFinder 2.0 on-line assessment. When you take the test, you’ll receive a personalized report about your strengths. The book then describes the particular qualities in more detail, along with ideas for how to utilize your strengths. The Success Principles by Jack Canfield. Already a classic book for business coaches, Canfield sets forth 64 principles for a successful life. This book provides helpful insights to set goals and accomplish results. Today Matters by John C. Maxwell. John Maxwell recommends 12 daily practices that can help you manage your business, relationships and life. Deep Work: Rules For Focused Success in a Distracted World by Cal Newport. With the constant pressures of email and social media, Cal Newport offers strategies to carve out time for the complex and time intensive work projects that enhance your career and sense of professional satisfaction. Chokehold by Paul Butler. During a Georgetown alumni event, I heard Georgetown University Law Center professor Paul Butler speak regarding this book, which is an honest assessment of the often less than desirable relationship between police and the African American community. Professor Butler doesn’t back away from controversy, but he does back himself up well with well argued and supported positions. My Own Words: Ruth Bader Ginsburg with Mary Hartnett and Wendy W. Williams. An engaging account of the career and legal philosophy of U.S. Supreme Court Justice Ginsburg. The Road to Independence: 101 Women’s Journeys to Starting their Own Law Firms. ABA Commission on Women in the Profession. This book is an amazing and inspiring compilation of the motivations, fears, and successes of 101 women who founded their own law firms. Buddha’s Brain by Rick Hanson and Richard Mendius. This book was studied by a WSBA group focused on bringing mindfulness to the practice of law. Hanson and Mendius offer a fascinating intersection of neuroscience and philosophy. The E-Myth Attorney by Michael E. Gerber. A follow up book to Gerber’s classic E-Myth series, this book helps attorneys in developing a superior business model, thereby enabling them to enhance client service and satisfaction. Minding Your Own Business by Ann Guinn. I’m proud to call Ann Guinn my friend. Her informative book teaches lawyers a skill most of us did not learn in law school: how to run a law practice. Negotiation Rules! by Jeanette Nyden. Nyden, a fellow member of the Washington State Bar Association, describes negotiation strategies that might end up helping you finalize that frustrating Nonjudicial Dispute Resolution Agreement. What’s Your Body Telling You? by Steve Sisgold. In law school, lawyers are taught to think in a very logical, non-emotional way. But, in practice, connecting with your emotions and instincts can enhance your abilities as an attorney. In this book, Mr. Sisgold provides tools and exercises to help you pay close attention to your body’s signals as part of your decision making process. 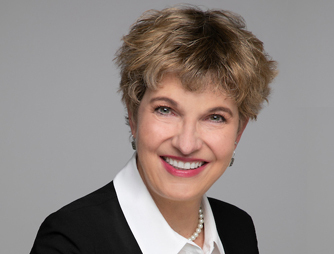 Women-at-Law: Lessons Learned along the Pathways to Success by Phyllis Horn Epstein. From glass ceilings to motherhood and dating, this book covers all of the basics. What’s it really like to be a women attorney? And, how far have we progressed? Ms. Horn gives us perspective, providing insightful personal stories of many women attorneys. I’ve Got Your Back by Brad Gilbert. Although a quirky addition to a professional reading list, I strongly believe that many lessons from sports also apply to business! Brad Gilbert, a former top ATP tennis player and coach to Andy Roddick and Andre Agassi, provides tips for making sure you love what you do, and always search for ways to do it better. Office Yoga by Darrin Zeer. Stressful day? Zeer provides simple stretches and breathing exercises, to be performed in your office, that will help you calm down, center in, and do your best legal work. Pressure is a Privilege by Billie Jean King. One of my personal favorites. This book should be read and re-read! Billie Jean’s simple but profound insights about how to bring your all to everything you do, and the importance of visualization in achieving your goals, are not to be missed. Thinking Body, Dancing Mind by Chungliang Al Huang and Jerry Lynch. More great information from Jerry Lynch about how TaoSports methods can help you succeed in sports, business and life. The Way of the Champion by Jerry Lynch and Chungliang Al Huang. Jerry Lynch describes the process, or “way of being” that true champions apply to their lives on a daily basis – both in sports and in other aspects of life. This book teaches you that, by focusing in and honing your daily approach to your craft, you will perform more consistently and at a higher level. The Winner’s Mind: A Competitor’s Guide to Sports and Business Success by Allen Fox. Allen Fox was a world class tennis player, tennis coach for Pepperdine, and earned a Ph.D. in psychology from UCLA. Fox’s book outlines the common mental and emotional characteristics of athletic and business champions, including persistence, focus, a willingness to work extraordinarily hard, and the ability to make one’s emotions work in their favor. When can LLC members be individually liable for acts of the LLC?